The Ruth Engelbrecht Scholarship is open to all interested educators, especially those teaching in central New York. No experience with birds or the outdoors is required to attend this camp, only an eagerness for providing more environmental education in your classroom and a willingness to use the tips this camp will provide to you. The Hog Island educator’s workshop is taught by environmental educators with over 20 years of experience and uses techniques in art, music, theater, journaling, and other disciplines to aid teachers in exploring citizen science, creating inquiry-based lessons on birds and other topics, and demonstrating both low and high-tech methods of teaching.The camp also includes a boat trip to the restored Atlantic Puffin and tern colony on Eastern Egg Rock, intertidal explorations, and hikes through Hog Island’s forested areas. The Ruth Engelbrecht Scholarship program awarded by Onondaga Audubon has in recent years sent local educators to National Audubon’s Hog Island Educators Week. This scholarship covers registration, housing, and food at the event as well as a small stipend to help cover travel to Maine. This years camp takes place July 14-19, 2019. If you would like to apply for the 2019 scholarship please provide us with your responses to the Scholarship Application form below sent to onondagaaudubonpresident@gmail.com. Additional responses beyond the space provided on the application are encouraged and can be provided in a separate Word or PDF document. If you prefer you can print out a hard copy, fill it out and mail to: Onondaga Audubon, PO Box 620, Syracuse, N.Y. 13201. The mail for the chapter takes a few weeks to get to a specific person so this is not always the most viable option. Note the deadline for the application is March 20, 2019. At least one outcome project related to your time at the camp. Some examples of projects that could come out of your experience include: starting an after-school bird or nature walk program, setting up a Classroom Feeder Watch, creating a bird-friendly garden at your school, crating a curriculum requirement that gets kids outside on a regular basis, crating a nature related festival that the students actively help set up, plus there are many more options we can discuss. A short report on how this camp impacted you and your work with children including details on your outcome project (photos are also encouraged). been for the past 7 years. He has a passion for the wildlife, outdoors, and photography and is looking forward to his week at Hog Island to learn new ways of engaging students and providing them with more meaningful learning experiences. Each year, Onondaga Audubon sponsors a teacher to attend the Educator’s Workshop on Hog Island, Maine. This past year’s recipient, Julia Yeatts, recently presented her experience to the board. Julia is a second grade teacher at Dr. Martin Luther King Elementary in the city of Syracuse. Anna Leiss of Skaneateles is the 2014 recipient of Onondaga Audubon’s annual scholarship to the Educator’s Week on Hog Island, Maine. 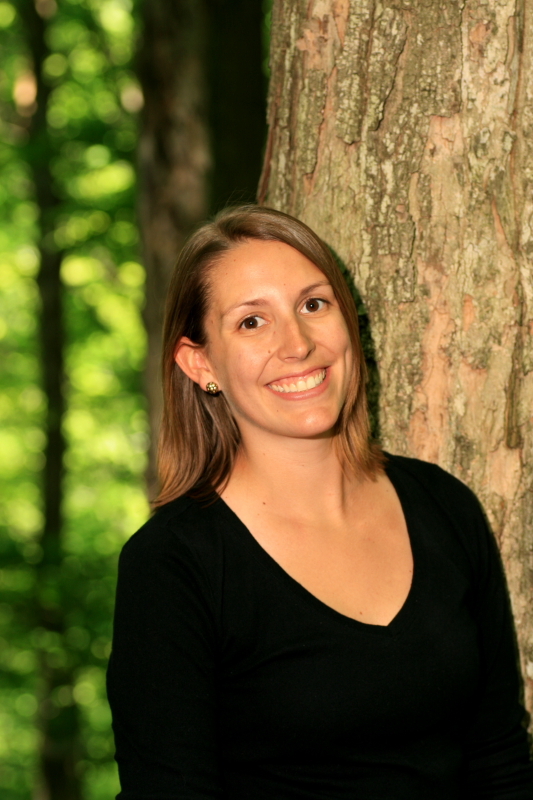 Anna is an environmental educator at Baltimore Woods Nature Center, where her primary involvement is with a program called Nature in the City. Anna has been an environmental educator for six years. She is looking forward to the Educator’s Week at Hog Island providing her with new and fresh ways to engage her students. The Hog Island educator’s workshop includes citizen science, creating some inquiry-based lessons on birds and other topics, and demonstrating both low and high-tech methods of teaching. There will also be a boat trip to the restored Atlantic Puffin and tern colony on Eastern Egg Rock, intertidal explorations, and hiking through Hog Island’s forested areas.